A better digital experience for you. Wizard Concepts is a web design and development agency. Get started with a risk free demo today. Our full service offering and inhouse design and technical know-how helps you keep timelines and costs under control. We strive to create a sustainable long term solution & digital roadmap for your organization's e-presence, using user centric design philosophies and solutions. This helps your website reach the largest possible audience, In house development teams ensure that your project meets deadlines consistently. 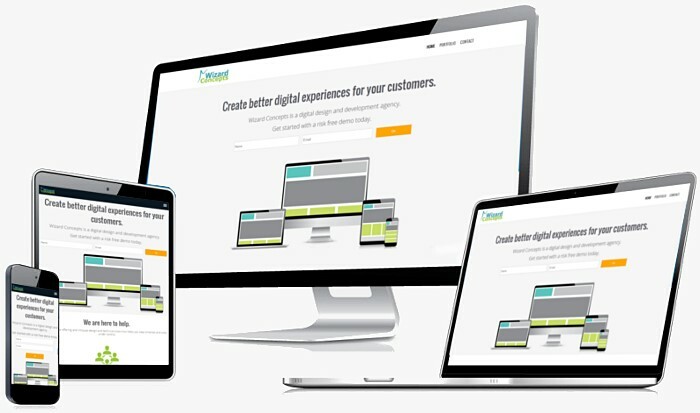 Your website is built using a mix of the latest techniques and an adherence to coding best practices. Agile methodologies allow you to make unlimited changes through the development lifecycle of your project. We manage our own private cloud servers across 5 locations worldwide. Customised hosting products and rock solid infrastructure ensure fail proof delivery of services. Insightful analysis and goal oriented programs help you acquire customers and drive more business. We utilize innovative Social media campaigns and solid SEO techniques for both targeted and long lasting results.